Redexis contains unique dextranomer beads. Thsi product is made in europe. How does Redexis Filler work? Redexis Filler is unique – its key ingredient is dextranomer beads. Tiny beads made up of sugar molecules that are biocompatible with the skin and can naturally stimulate the production of collagen. Dextranomer beads with their positive charge cleverly attract negative charged collagen and elastin, making them combine together for long lasting effects even after Hyaluronic Acid has been broken down. Even after the hyaluronic acid is absorbed, collagen stays at the main site of injection to continue its valuable role in keeping skin looking young and healthy. Volume is increased as a result of increased collagen. What are the benefits of Redexis? 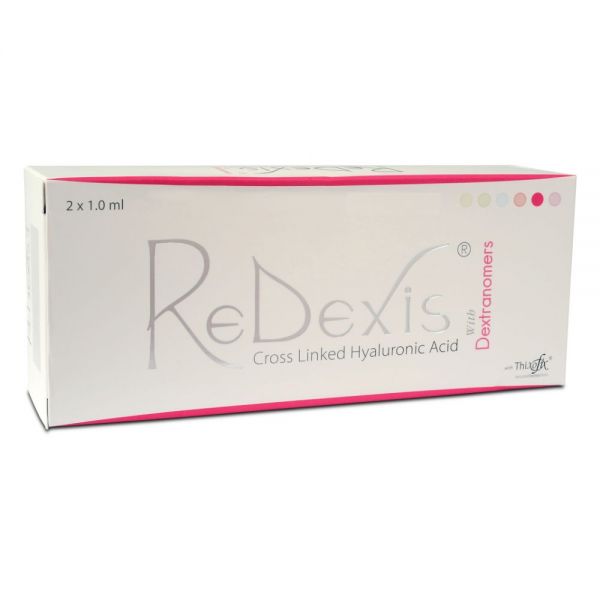 How long do results with Redexis last? Results are long lasting for up to 18 months with Redexis and 42 months with Redexis Ultra. 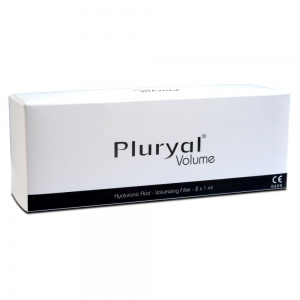 From the Pluryal range, designed to restore volume in the face. Teosyal Ultimate, injectable in sub-dermal layer, suitable in face remodeling, volume creation in upper cheeks, correcting deep skin depressions and is the most recent addition.